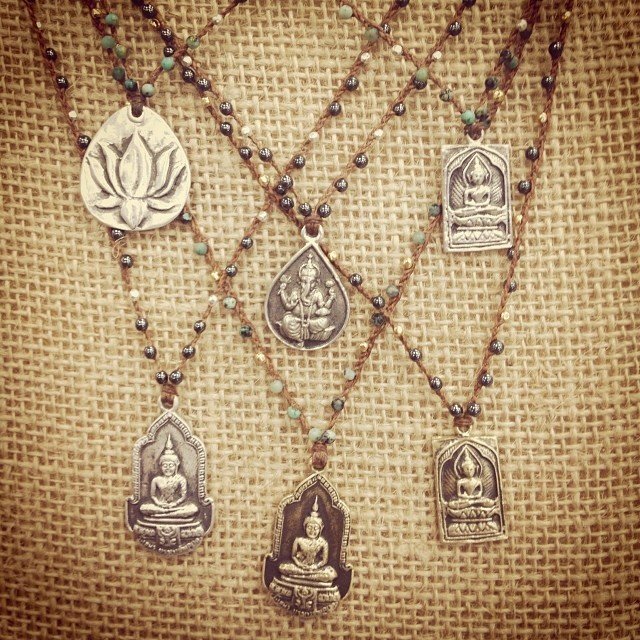 Love these #lotus #buddha and #ganesha necklaces! Hand knotted with #hematite and #turquoise beads. Perfect.